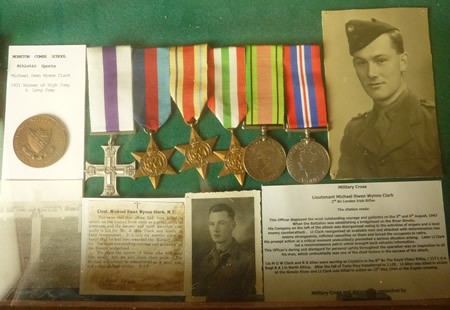 We have been contacted by the family of Lance Sergeant William John Donaldson, who served with the 2nd Battalion London Irish Rifles (2 LIR) during the Second World War before he was killed, at the age of 21, in Italy during May 1944. From the war diaries, it appears that L/Sgt Donaldson had travelled to North Africa with 2 LIR and was wounded during the bitter fighting near Bou Arada, Tunisia in the early part of 1943. 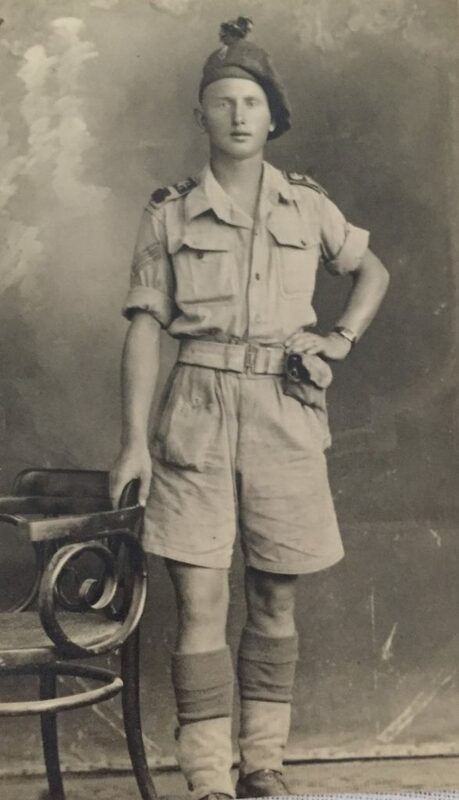 He was hospitalised in Algeria but would re-join the battalion on the mainland of Italy in the early part of 1944 as they prepared to join in the prolonged series of battles near Monte Cassino. William Donaldson was killed on 16th May 1944 during 2 LIR’s successful assault on the German defensive strong points at Sinagoga. From a notebook sent back to William’s family, it is further clear that he served with 17 Platoon (H Company) under the command of Lt Michael Clark MC, who would also be killed at Sinagoga. Lieut MOW Clark MC (kia), Sgt Stokes, L/Sgt Donaldson (kia), L/Cpl Edge, Rfn Williamson, Rfn Sullivan, Cpl Dean (kia), Cpl Martin, Rfn McKee, Rfn Anderson, Rfn Jarvis, Rfn Whitehead, Rfn Cranfield, Rfn Grogan, Rfn Morley, Rfn Burrows, Rfn Stokes, Rfn Pritchard (kia), L/Cpl Todd, L/Cpl Brodie (kia), Rfn Duggan, L/Cpl Roberts (kia), Rfn McClanaghan, Rfn O’Leary, Rfn McAnavery, Rfn Shields, Rfn Rands, Rfn Barrett, Rfn Powell, Rfn Meldrum (kia), L/Sgt Sye DCM (kia), Rfn Todd. Rfn Stewart, Rfn Dean.